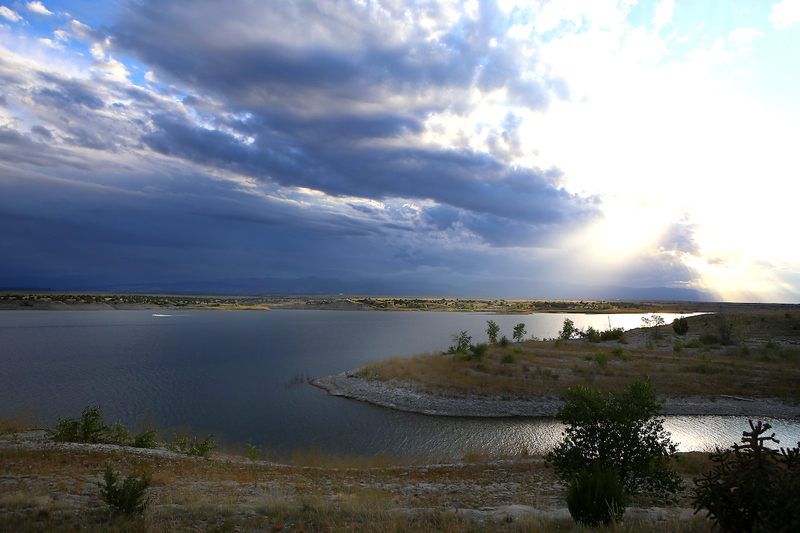 The Colorado Parks and Wildlife team is preparing Lake Pueblo State Park for the unofficial start of summer on Memorial Day weekend and wants visitors to know what they can expect when they arrive. Renovation work at the Rock Canyon Swim Beach facilities has been delayed due to a wet, stormy spring. As a result, a $500,000 project is behind schedule and the beach will not be ready by the traditional opening date of Memorial Day Weekend. A firm opening date has not been determined, but crews are working to open the beach as soon as possible. When renovations are completed, the beach will boast new restrooms, changing stations and outdoor showers. There will still be large covered picnic areas and grills for use. "We're all disappointed the beach facilities won't be ready for Memorial Day," said Lake Pueblo Park Manager Monique Mullis. "When open, the beach is a great place to spend the day with the family." "We will have a ribbon-cutting and grand re-opening celebration when it opens," Mullis said. When the beach opens, Laketime Rentals will be back for a third year of stand-up paddleboard and kayak rentals. New this year: Studioshare Yoga will be holding stand-up paddleboard yoga classes at the beach. In addition, Mullis is working on contracting for various food trucks to provide refreshments at the beach and throughout the park on a rotating basis. Prior to reopening and per standard beach protocols, the water at the beach will be tested according to Colorado Health Department rules. In addition, special testing will be conducted after an unknown and seemingly harmless protozoa was discovered in the water late last summer. Officials attributed the protozoa to ditch water that fed into the lake and have no reason to expect it to still be present. The beach is important to park visitors because swimming is not allowed elsewhere in the lake. Only wading is permitted in the lake outside Rock Canyon Swim Beach. Cliff-diving is also strictly prohibited. Typically, the beach is open 11:00 a.m. to 6:00 p.m., Thursdays through Mondays, until Labor Day. It is closed Tuesdays and Wednesdays. There is no extra fee for the beach, but a $7 daily park pass is required on every vehicle that enters the park. Pets should be left at home when visiting the beach. Pets are not allowed in the swim beach compound and it is not safe to leave pets in a hot car. Glass is also not permitted at the beach. Gas grills are not allowed in the beach compound, however charcoal grills that are provided. Lake Pueblo is one of the most popular recreation destinations in Colorado, typically attracting 1.8 million visitors each year to sail, motor-boat, water ski, river tube and fish on its 5,400 surface acres of water and along its 60 miles of shoreline. The park, which covers nearly 10,000 acres straddling the Arkansas River on the city's west edge, also offers 400 camping sites to go with its two full-service marinas, miles of trails, bird watching, a visitor's center and fish hatchery.